Beattie McGuinness Bungay has been appointed by the celebrity chef Aldo Zilli to launch a £3.5 million campaign for his new range of organic baby food. BMB, which won the business without a formal pitch process, will create a campaign for the new brand, starting with a TV ad in March. 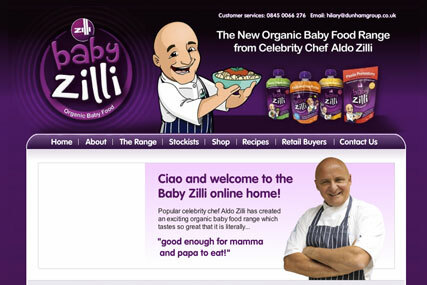 The Baby Zilli range, run by Zilli and his business partner, the entrepreneur Dean Dunham, includes eight dishes for babies. Flavours include Pasta Pomodoro, Zilli Fishy Dishy and Fruit and Veg Puree. Zilli said: "I am delighted to be working with not only the best advertising agency in town, but one of my best customers [the BMB founder Trevor Beattie]. The launch of this range is close to my heart." Beattie said: "Aldo and I have been friends for 15 years. It's high time we put our heads together creatively. Baby Zilli is a brilliant idea and I'll be doing all in my powers to spread the message far and wide. Aldo has invented an entire sector. I predict a triumph." The range already has distribution through Tesco, Waitrose and Ocado, and will be stocked by Sainsbury's and Morrisons from June.